President Silanyo met Yemeni business delegates to finalize arrangements for large-scale investments. A number of Yemeni companies are expected to pour in Millions of dollars into the local economy. This was revealed by the presidential spokesperson Mr Ahmed Suleiman Duhul during a press conference at the presidency where he also informed that the investments were assured during a meeting between President Silanyo and a Yemeni government and business delegation. 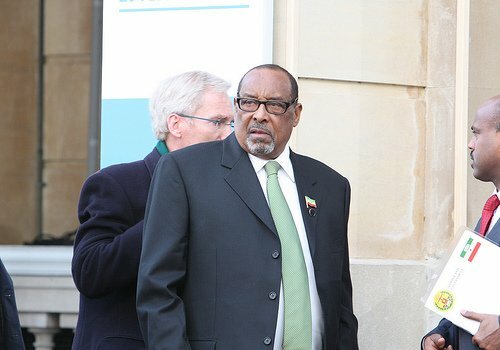 The press conference was informed that the head of state welcomed and assured the Yemeni investors of security of their labour saying, "Peace and appropriate legislation makes our country conducive for foreign investors"
The joint Yemeni investor and government team that exchanged gifts with the head of state departed the country via Berbera international airport with various Somaliland cultural artefacts courtesy of the presidency. While the actual date of investments was not disclosed the Yemeni team leader Tycoon Abdul Haq said that their current mission involved finalizing arrangements at the highest levels since initial assessments had already been completed. At the meeting President Silanyo was flanked by Foreign Minister Dr Mohamed Abdilahi Omar, Minister at the presidency Hirsi Haji Ali and Finance Minister Abdiaziz Mohamed Samale.